I started this endeavor with one simple goal: to provide dependable quality home care. My journey began as I was charged with caring for my very ill mother-in-law and my search to find a dependable home care provider who would bring the level of personal attention and empathy to her that I would. Unfortunately, my effort went unfulfilled and I would care for her until a few days before her passing. In that time, I learned a great deal about the importance of home care as it relates to the quality of life and her simple goal to remain in her own home as long as possible. I decided that my experience over those many years would uniquely qualify me to start a home care business with a focus on quality, from a home care customer’s perspective. We seek to be the home care provider that is an extension of the family. Our broad product offering is robust, but I want my clients to feel like our largest value to them is that we understand the importance of quality home care. We strive to make that search for the best caregiver, to begin and end with us. The differentiator for any home care provider is the people who they employ to serve their clients. All of our caregivers are W2 employees, who are interviewed and vetted extensively by a proprietary process that we have developed with the highest degree of scrutiny and focus. The caregivers we will send into your home are simply the best in our business, and well qualified to care for your family member. We use an large array of tools and technology from our industry space and our highly respected and successful brand, to adjust our services to you and your family in a dynamically changing home care environment. Additionally, our clients are our best source for improvement and growth, and I would urge any client to reach out to us with any comments or concerns. As you can see, I have assembled a talented team to help you. I began my career as an Occupational Therapist specializing in geriatric services and children with developmental disabilities. I studied at the University of Florida receiving my Bachelor’s in OT. My years spent providing patient care helped me appreciate the challenges presented to the patient, the family and the healthcare provider, when illness or other unexpected accidents occur. As a result of dealing with acute healthcare challenges experienced by several members of my own family, I know firsthand the helpless feeling that results in these situations. It is for that reason, I am proudly involved in Assisting Hands. With a Master’s Degree in Health Care Administration, I have had a successful career as a hospital CEO, and held various Vice President positions within the outpatient arena, including ambulatory surgery centers, physical rehabilitation, diagnostic centers and physician practices. I’m dedicated to ensuring the best possible care is provided to those individuals when they are in need of care or companionship. With my broad and extensive background in various leadership posts in the health care continuum, I bring a unique set of skills to Assisting Hands of Loudoun. These skills are a huge differentiator for our clients, and I feel very fortunate to be involved with other dedicated professionals. After undergraduate and post-graduate work at Loyola University in Baltimore, MD, and occupations in the research writing and editing fields, the last decade-plus of my life has been spent raising a family and teaching yoga and wellness to practitioners of all ages. As such, I have endeavored to teach in a way that honors and empowers the individual, cares for the whole person, and facilitates connectivity with one’s life. Like many of you, my own family has struggled with the very difficult and multifaceted decisions of finding compassionate, quality care for a loved one. I have seen firsthand the toll that “trying to do it all” takes on a primary familial caregiver. As Client Care Coordinator, my primary duty is to orchestrate the selection and relationship of client and caregiver to make the best possible match for our clients. Our family of caregivers and coordinated services are here to ease the burden on the entire spectrum of your needs with a complete turnkey offering…one that extends beyond simply providing you with a caregiver. We deploy a very high standard to our recruitment and training efforts, which allows us to retain the very best caregivers for you and your family. Additionally, we have a strong regional and national presence in the industry, which affords me the ability to develop best practices with my fellow Assisting Hands Care Coordinators in a dynamic industry that is evolving rapidly. 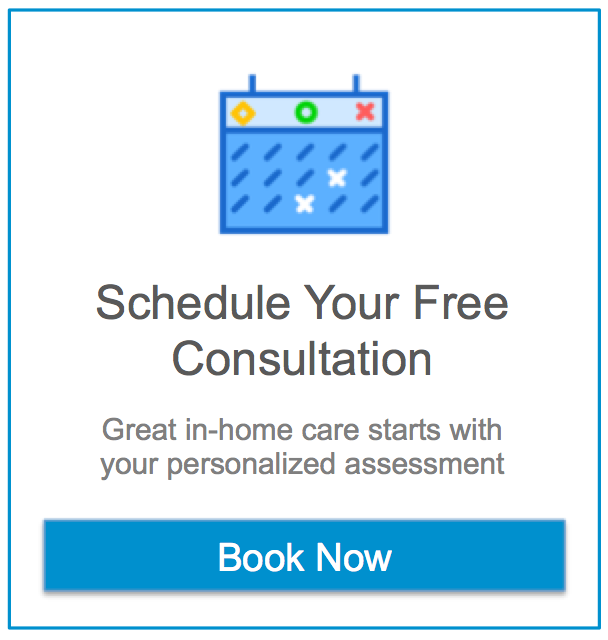 I am here to help you manage and organize care seamlessly and ease the burden of providing your family with an exceptional standard of home care.